Rachael is an experienced, enthusiastic Modern Foreign Languages teacher based in Putney. Her passion for languages was developed throughout her education and experiences abroad. Rachael is TEFL trained and has twice lived and worked in France, teaching English to both primary and secondary aged students as well as running classes for adult learners. Rachael spent three months immersed in the Spanish culture whilst developing her Spanish language skills. In her free time Rachael enjoys photography, running, yoga, badminton and as much travel to new and exciting places as is possible! Rachael's experience of teaching is extensive. It ranges from working one to one with A level students to teaching English to students aged between 6 to 22 years of age in France. 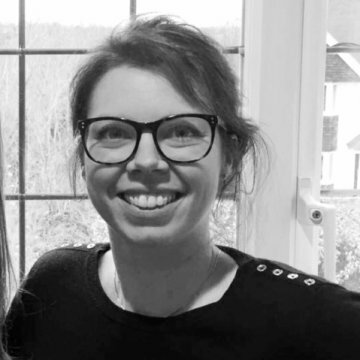 Rachael has been a qualified Modern Foreign Languages secondary teacher for nine years, teaching French up to A level and Spanish to KS3 and has additionally held the post of Head of Languages in a school in Surrey. Rachael has now stepped away from the classroom to focus her time on private tuition and is a PA for a tuition company too! Rachael has been a private tutor on a one to one basis for the past seven years. She has tutored students from year 6 to 12 and has a sound understanding of a number of GCSE exam boards including AQA, Edexcel and Cambridge iGCSE. Rachael has also tutored for the Common Entrance exam. Rachael adapts her approach to tutoring depending on the tutee and their style of learning. She knows its essential to develop a high level of trust with her tutees which she does with her patience and encouragement whilst building their self-confidence in the subject, which is often lacking but incredibly important in language learning. Rachael understands the great need for a solid understanding of the language's grammar as a foundation to build on and has perfected her approach to teaching this difficult aspect of language learning. Rachael endeavors to make her lessons fun, focused and interactive. A variety of teaching methods and revision techniques are used and introduced in order to fulfill potential and achieve the highest possible results. Rachael's students have consistently made progress through her tuition as it effectively compliments their school based learning. Racheal has been working with my daughter since September to help in the run up to igcse exams. Absolutely a pleasure, her happy an upbeat personality circumvents even the grumpiest teen on a Sunday morning! Lessons are well planned and structured with excellent resource materials. Racheal, having a thorough knowledge of the curriculum has helped improve both oral and written French as well as Spanish, so that my daughter is now on track for grade 9s in both subjects The additional input, enthusiasm and confidence which Racheal brings has further encouraged my daughter to take both subjects at A level. Based on our experience I would have no hesitation in recommending Racheal. It’s always a pleasure Tracy! Thank you for such a wonderful review. Racheal is an excellent tutor. She is friendly and reliable, and her calm approach has greatly improved my daughters confidence in French. She’s very encouraging and tailors lessons to specific needs. I’d highly recommend her. Thank you Sam, your daughter is a pleasure to tutor and its great to see the progress she is making with French, particularly with her confidence in speaking. Our son got a A* for French in GCSE. Rachel did a fantastic job in the last few weeks before the exams to help me be confident especially in his oral. We are very pleased with her. I would highly recommend Rachel. Thank you Kavisha, I’m delighted that Minuk did so well in his GCSE. He was a pleasure to tutor. I wish him the best of luck for year 11.